We are Wedding Videos Northamptonshire, an Independent Production Company dedicated to capturing your special day on film. With a choice of affordable high quality packages we will cover all aspects of your wedding, providing a USB of priceless memories that you and your family can relive for generations to come. Wedding Videos Northamptonshire is made up of Jane and Liam. 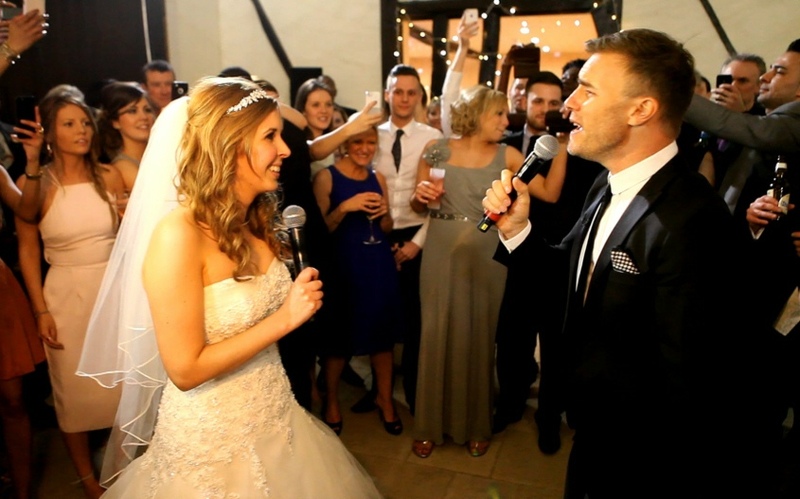 They have worked in the Wedding Industry for ten years as film makers and have a background in TV Presenting with Liam appearing in over 200 TV programmes. As a film company their work has appeared on: BBC, ITV, SKY, CH5, LWT, London Live & even Manchester United TV! Last year they supplied material for the Gary Barlow TV Documentary When Corden Met Barlow. This year they have provided Wedding footage for a few episodes of the TV Show ‘Say Yes to The Dress. They are both used to working in an industry which puts people at the heart of its work and because of their vast experience in front and behind the camera they are very good at capturing the emotion of the day without being obtrusive. Based in Northamptonshire, they cover all areas for wedding videos/USBs, including Bedfordshire, Cambridgeshire, Buckinghamshire, Leicestershire, Lincolnshire, Oxfordshire & Warwickshire. They are professional, polite and always on time – so don’t worry if you are slightly out of their area as they are used to filming many events & weddings all around the UK – and abroad!